Cars are lined up for judging on aesthetics before the start of Wednesday night Pintwood Derby races at Right Brain Brewery. 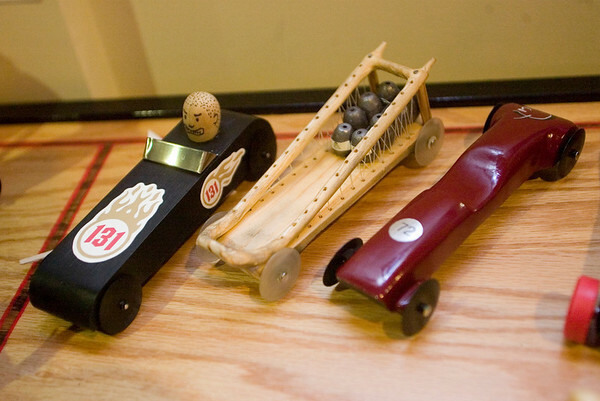 The main body structure of each car must be made from a kit purchased at the brewery. From there, competitors may be as creative as they like as long as the car fits certain size requirements.